McAuliffe is only nominally the target of the ad, “Don’t Let Them Detroit Virginia,” which vaguely connects him to a broad left-wing conspiracy, a “Gang of Five.” These dangerous radicals are led by Hillary and Obama and fed by the perverted forces of liberal media, foreign-sponsored smear groups (a photo of AFL-CIO President Rich Trumka looms ominously behind that legend), plus “Wall Street liberals” and Hollywood flesh-merchants. When you stop laughing at the preposterous claims in the ad, however, you see how it is calculated to reach not rational, clear-eyed citizens, but lunatic fringe nutjobs who will buy any conspiracy theory if it pins the tail on Obama. It is coolly calculated and slickly delivered, narrowly focused. I’m sure all the audiences were surveyed, and the majority was dismissed. Fight for Tomorrow, the Texas-based PAC behind the attack ad, waves its ideological agenda around like a freak flag, proud to say they’re on the edge. They’re also very well seeded, with a trail from Northern Virginia/DC officialdom to the Texas boardrooms. They will not provide information about who funds the group, although you can be sure it’s corporate in nature and possibly Koch in personality. On the Fight for Tomorrow website, the group proudly announces, “Contributions to Fight for Tomorrow are not deductible as a charitable contribution for federal income tax purposes.” In other words, you can’t deduct this on your taxes because we’re not telling where our funds are coming from. The Roberts’ Supreme Court decision in Citizens United vs. FEC ensured that rich corporations with vested interests in public policy could spend any amount to influence public policy. Ordinary citizens are left to fend for ourselves, to sort out information that is skewed not only by the partisan interest fringe, but also by the mainstream media, which insists that everybody is making sense. 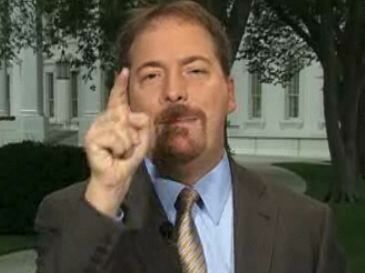 Moderator Chuck Todd wanted to make a point. 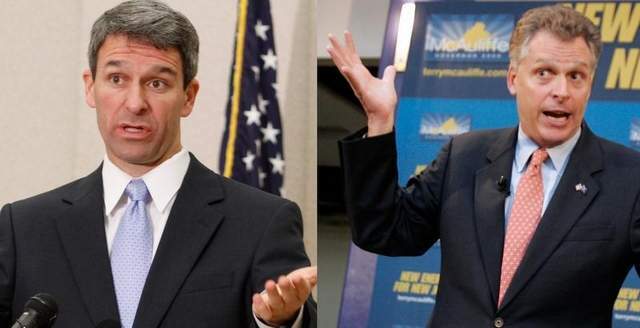 Watching NBC Political Director Chuck Todd moderate the debate tonight between McAuliffe and Tea Party darling Ken Cuccinelli was infuriating, as the Washington talking head sought to corner both candidates with calculated equanimity. For example, Todd persisted in asking McAuliffe, who favors expanding Medicaid to make Obamacare more accessible, if President Obama has shown adequate leadership in promoting his own program. Perhaps that is a good question, but certainly not in a forum weighing the candidates for Virginia’s governor, with clear differences on the issues. It was a question calculated to elicit liberal criticism of Obama on his program, even though most liberals think Obamacare falls well short of the mark of real health care reform. Not that McAuliffe is a liberal darling. He’s a businessman with a checkered past in both business and politics, with much intermingling along the way, including as the chairman of the Democratic National Committee. McAuliffe was Clinton’s prime fundraiser, and those years of dedication to Clinton and the Democrats are being rewarded in political and financial support this year. I’m pulling for McAuliffe, though. Cuccinnelli is an ideologue who wants to foist his moralistic religious and political views onto the citizens of Virginia. He’s also a hypocrite who has gone along with the influence-peddling game in Richmond even while feigning the high moral ground. If we are to judge these candidates by their associates, then we have to give McAuliffe and the Democratic establishment the advantage over Cuccinnelli and the knuckleheads at Fight for Tomorrow. This entry was posted in Uncategorized and tagged "Don't Let Them Detroit Virginia", candidates debate, Chuck Todd, Citizens United vs. FEC, gubernatorial race, Hillary and Obama, Ken Cuccinnelli, NBC, Obamacare, Rich Trumka, Tea Party, Terry McAuliffe, Virginia by bymichael2012. Bookmark the permalink.